Since as far back as the mid-’80s, gangs have been fighting for a piece of MacArthur Park. Who’s running the grounds these days? The three dominant gangs include drug dealers who have killed for the opportunity to sell their product (today usually meth) on the 130-year-old plot of public land. Known for: Being transnational. 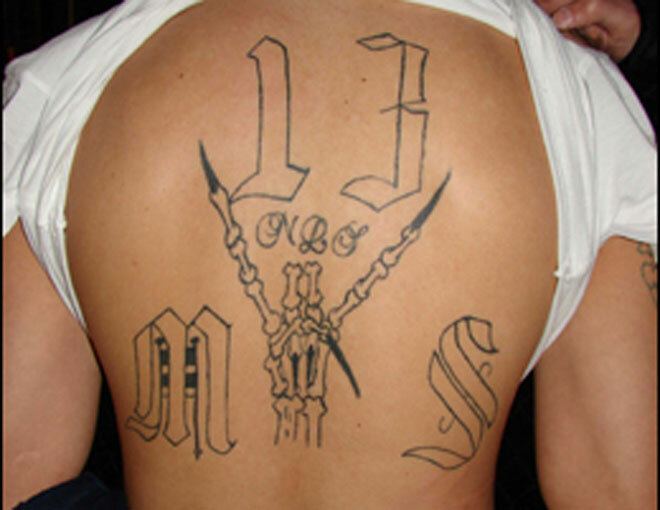 MS-13 was formed in Los Angeles but expanded internationally as gang members were deported. Returning to their home countries after deportation, gang members founded new factions. Today there are believed to be 70,000 Mara Salvatrucha members worldwide. Heinous crime: In 2004, a group of MS-13 members shot up a bus in Honduras, killing 28 civilians. While the shooting itself didn’t take place in Los Angeles, several of the shooters and organizers were tied to, living in, or locked up in L.A. Notorious member: David Rivera, aka Gerber Alfaro Bonilla, aka Herbert Alfaro was placed on the U.S. Immigration and Customs Enforcement’s Most Wanted list in 2005 in connection with a string of Los Angeles murders. ICE agents and the LAPD captured him in 2008. Founded: The 18th Street gang, of which the Lil Cycos are a faction, formed in the 1960s. The Lil Cycos formed in 1985. High-profile rivalry: Opposing factions within the Mexican Mafia. Notorious member: Francisco “Puppet” Martinez was locked up in 1994, but he ran the Lil Cycos from prison for many years (and perhaps still does). He’s ordered hits on numerous gang members, including Juan “Termite” Lopez Romero. (The letter from prison to the hit man said, “Fumigate the termite.”) Romero, whom Martinez suspected was speaking to the FBI, was shot several times but survived. Later it was revealed that there was no rat; the FBI was using a wiretap. Martinez’s lawyer, Isaac Guillen, was recently locked up after it was revealed he was collecting and laundering money on Martinez’s behalf. Heinous crime: There were several notable shoot-outs in the early ’90s, when the Lil Cycos were shoring up their MacArthur Park turf, but perhaps the most high-profile shooting occurred in 2007, when an 18-year-old accidently shot and killed a three-week-old baby. The Lil Cycos member had been ordered to take out a MacArthur Park vendor who had refused to pay the gang a tax for using its territory. The shooting led to major indictments and ultimately brought down four high-ranking members of the gang. Heinous crime: In November 1989, a turf war between the Crazy Riders (then 150 members strong) and the 18th Street gang climaxed in a series of shoot-outs. Two weeks after the gang-related drive-by murder of a 17-year-old, a 24-hour-long battle took place. Two were killed, six were injured, and a pregnant 16-year-old was shot in the abdomen. Notorious member: Ismael Alejandro Campos appears on the LAPD’s most recent Most Wanted list for a murder committed a block from the southeast corner of the park in 2004. Campos allegedly shot and killed another Crazy Rider following a verbal dispute. Previous articleEssential T, Grilling Week Edition: Carne Asada at Mexicali Taco Co.